Manjit Singh G.K. was assaulted twice in the US by members of Sikh diaspora who are angry at way Akali Dal handled Guru Granth Sahib desecration cases. 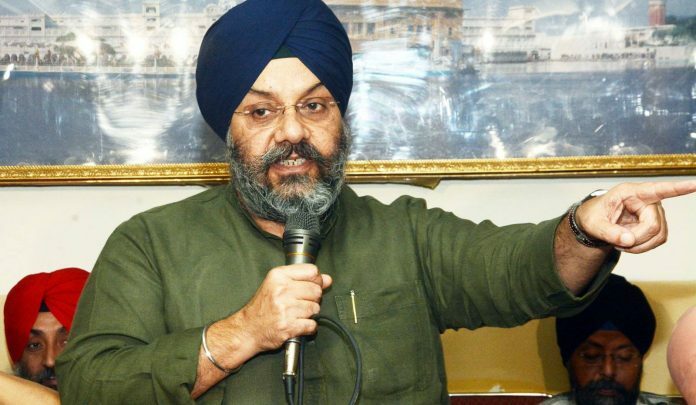 New Delhi: The churn in the Shiromani Akali Dal (SAD) appears to have spread to Delhi, where Delhi Sikh Gurdwara Parbandhak Committee (DSGPC) president Manjit Singh G.K. has stepped down from his post. Singh, who is also the president of SAD’s Delhi unit, has handed over charge of the DSGPC to vice president Harmeet Singh Kalka. He, however, denied that he had quit. “I have not quit my post. It is just that I will be busy in personal matters over the next two weeks,” Singh told TheTribune. The development comes amid a rebellion against SAD president and former Punjab deputy chief minister Sukhbir Singh Badal, particularly over the party’s handling of a report on incidents of desecration of the Guru Granth Sahib that rocked the state in 2015. Top sources have told ThePrint that Manjit Singh G.K. has decided to step down as he wanted to ward off any potential abuse that he could face in his upcoming foreign trips. The Sikh diaspora, upset with the way the Akali Dal — then in power — handled the Guru Granth Sahib desecration cases of 2015, has been further enraged after a one-man judicial commission, appointed by the Congress government, indicted the SAD dispensation in its report released June-end. Manjit Singh G.K. had been at the receiving end of this anger. On 21 August, a month after the report was out, Manjit Singh G.K., considered a Badal loyalist, was assaulted by protesters in New York. The crowd was protesting against the SAD regime. Manjit Singh G.K., however, claimed they were supporters of the Khalistan movement. A week after the New York incident, he was once again beaten up by 20-25 assailants outside the Yuba city Gurdwara in California. While Manjit Singh G.K. hasn’t quit from the post, his handing over charge to Kalka is a further sign of the growing crisis within the Akali Dal. There has been dissent against the party leadership, with the taksali (the older) leaders openly expressing unhappiness with Badal being given full control over the party. The anti-Sukhbir Badal faction in the SAD is becoming stronger. Last month Rajya Sabha MP Sukhdev Dhindsa had quit all Akali Dal party posts citing ‘health reasons’. A day after his exit, three more leaders had quit all the party posts adding up to the one of the worst crisis faced by the party in recent times.